Choose another element from the toolbar and click on an existing atom or double click to edit the label. Click on an existing atom. 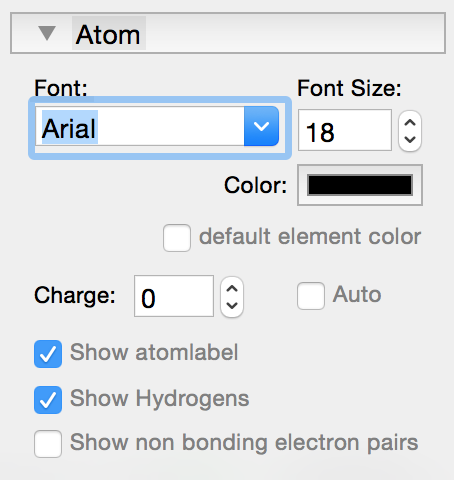 If the same atom is selected in the toolbar, the atomlabel will get invisible. By clicking again the label gets visible. By right-clicking on an atom or by right-clicking on selected atoms a popover ist shown where you can change the attributes of the selected atoms.